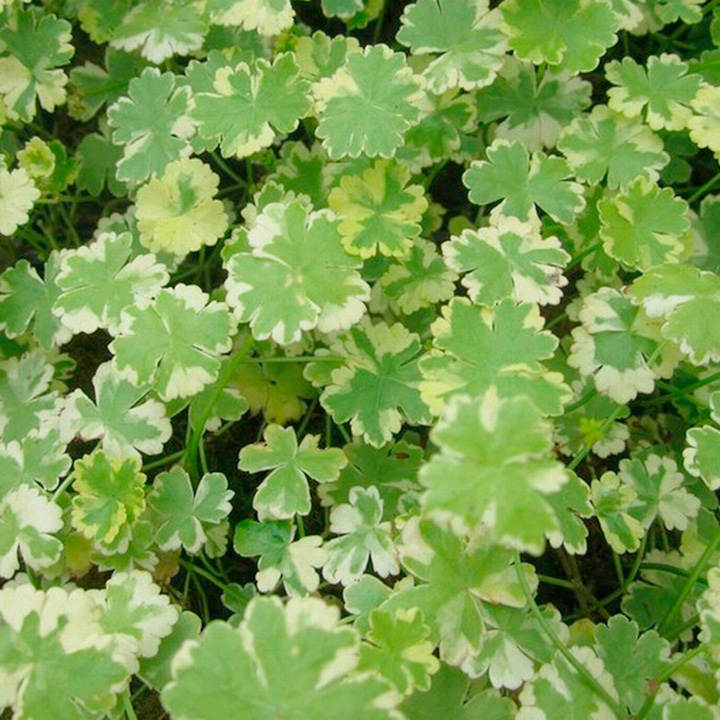 An attractive perennial that forms a carpet of miniature round leaves edged with cream. Little maintenance is required. Trim just above the water surface after foliage has died back in autumn to tidy. Flowers April-June. Minimum height 10cm; maximum height 15cm. Maximum depth 25cm. Medium growth rate. 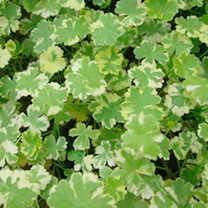 Available in two pot sizes: 1 x 9cm pot or 1 x 1 litre pot.